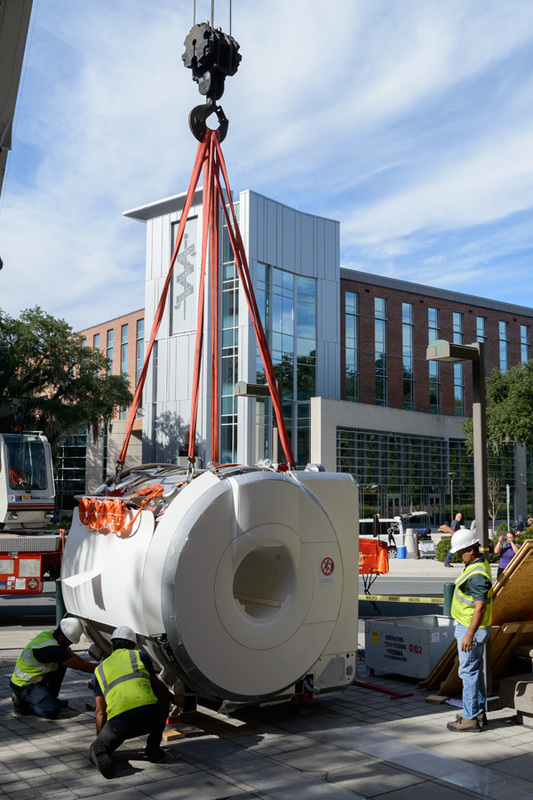 The arrival of a massive new piece of equipment on Dec. 7 called for some adjustments to the entrance to the Evelyn F. and William L. McKnight Brain Institute of the University of Florida. The Siemens 3T MRI/S is a state-of-the-art $3 million scanner that has the strongest gradients available for human imaging, advanced motion correction capabilities and increased scanning flexibility. The new 3T will support a rapidly increasing number of federally funded UF investigators who are studying Parkinson’s disease, muscular dystrophy, aging and cognition, Alzheimer’s disease, adolescent brain cognitive development, traumatic brain injury and more. Workers very carefully lifted the scanner, hich will support the research of an increasing number of federally funded UF investigators who are studying Parkinson’s disease, muscular dystrophy, aging and cognition, Alzheimer’s disease, adolescent brain cognitive development, traumatic brain injury and more. The machine is finally ready to begin the final leg of its journey to the Advanced Magnetic Resonance Imaging and Spectroscopy facility within the institute. 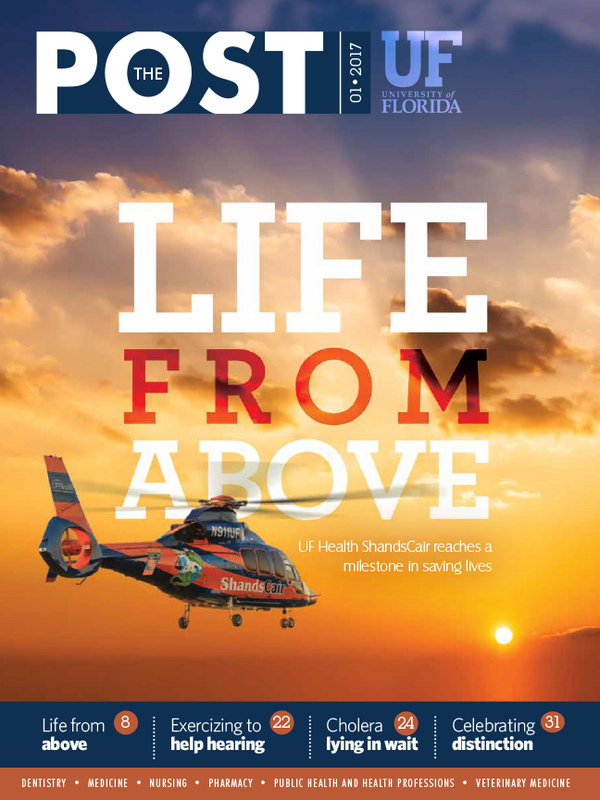 UF Health ShandsCair reaches a milestone in saving lives.